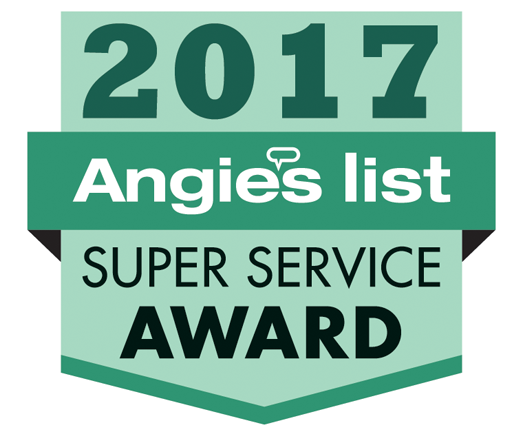 Want to schedule a FREE inspection? Send us your contact info and we'll get back to you shortly. Do I Need Foundation Repair? Concrete pier foundation repair is one of the oldest methods of foundation repair in use in Dallas Fort Worth. When properly installed, a concrete pier will provide long-term foundation support. All concrete pier types require large holes and more landscape removal than steel piers. Pressed Concrete Pilings are the most commonly advertised repair method in use in the DFW area. Pre-cast concrete segments are cheaper than steel. Installation time is shorter than poured pilings because the concrete has already been cured. Sometimes a steel leader is used to achieve greater depth. Installation time is comparable to that of steel piers. Many contractors do not add water, achieving a depth of 8-10 feet with the shortest possible installation time and least expense. The continual addition of water during a piling drive achieves greater depth and stability. 12 feet is the minimum depth needed to minimize movement due to seasonal moisture changes unless the system has been driven to rock at a lower depth. Installation depth is dependent upon the available drive force. Installation of pre-cast concrete is impeded by surface friction and end bearing resistance. 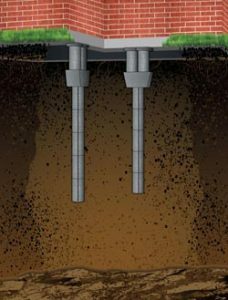 At a diameter of 6 inches, a concrete piling requires four times the installation pressure of steel. Cost of material is less than that of steel. Concrete installation seldom reaches bedrock. After the concrete is pressed, the foundation is leveled using steel shims. When installed properly, the pier system provides a relatively reliable foundation repair. The system is not quite as good as Steel piers because it is seldom driven to rock. The problem with concrete pressed pilings is when they are improperly installed to a depth of 3-5 feet. The piling system appears robust but will probably fail in a few years. We see this problem arise, premature pier failure when the crew receives an incentive for the number of piers systems installed per day. Most often this arises when either a contractor pays a crew bonus on the number of piers installed, or the foundation repair contractor uses a sub-contractor. There are some very good sub-contractors, and there are some really bad apples. The bad apples will drive short and fast. Several times each year, Granite Foundation Repair is hired to re-do the pier installation because of sub-standard installation by an unscrupulous competitor. Poured concrete piers are best used for new construction when they can be drilled to a depth of 20-30 feet. A bell adds end bearing surface area to increase load capacity. 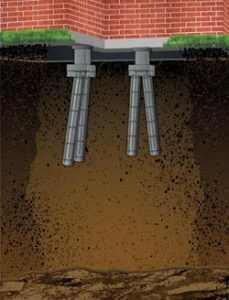 For residential repair, the piers are typically drilled to a depth of eight to ten feet. At ten feet the piers are subject to movement due to seasonal moisture change. Cure time before foundation leveling is 7-10 days. Load bearing capacity of the soil under a poured pier is not tested. Poor soil compaction / poor load-bearing capacity is a leading cause of foundation problems. The pier may sink with time in poorly compacted soils and normally carries a shorter warranty period than any other pier method.